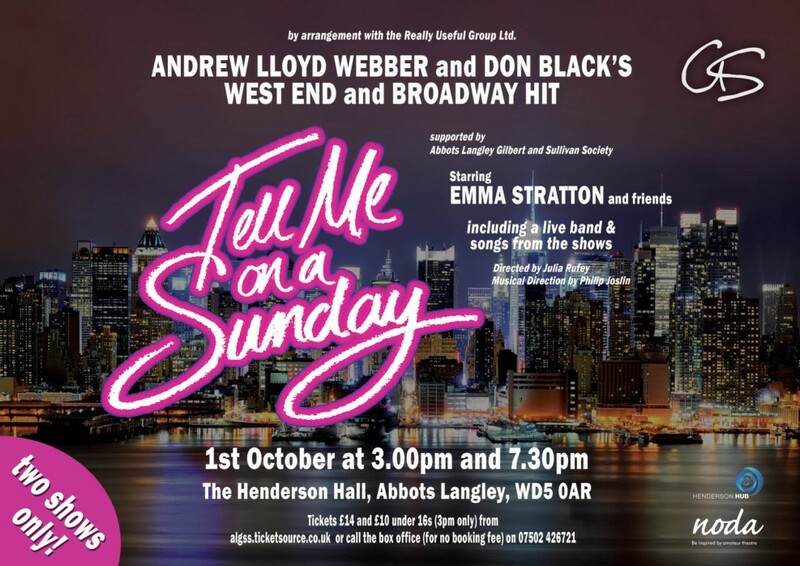 Andrew Lloyd Webber and Don Black’s classic Tell Me on a Sunday is a one-woman show that charts the course of a young English girl newly arrived in New York. Brimming with optimism, she sets out to seek success, companionship and, of course, love. But as she weaves her way through the maze of the city and her own anxieties, frustrations and heartaches she begins to wonder whether – in fact – she’s been looking for love in all the wrong places. 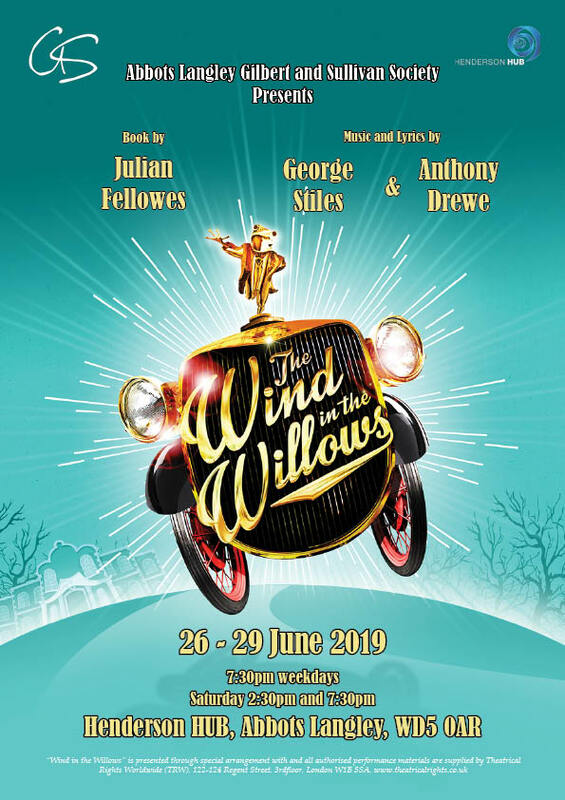 Tell Me on a Sunday was expanded from its original Marti Webb TV special to become a whole evening’s entertainment and also featured five brand new songs written especially for the production. This production starred Emma Stratton and friends and was perfomed on Sunday 1st October at The Hendesron Hall, Abbots Langley.